What Kate Baked...and baby! : Christmas Chutney: Let's Make Christmas! It is November the 7th. A whole 62 days before Christmas. The Halloween cobwebs have only just been swept away and the Bonfire treats still a yummy-in-the-tummy memory. Arguably it probably is still too early to be posting about Christmas. 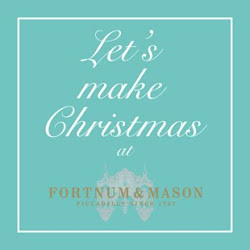 Joining in with Vanessa Kimbell's Let's Make Christmas, a brilliantly- festive themed blogging challenge to create delicious foodie gifts this Christmas. The first (of I suspect many, I adore this time of year) Christmas themed posts is this classic chutney: apple and cranberry. The bright red hue of the cranberries adding a very festive cheer. 1. Pop the apples, onions, ginger, cloves, caster sugar, vinegar and peppercorns into a large saucepan and heat gently until the sugar dissolves, stirring continuously. Looks fab! So you are coming to Vanessas event too, will be GREAT to see you again!! I'm going too so I will see you there. I really like your fabric tops on these jars! So gorgeous (nb, we went to The Nutcracker last year- it was magical magical stuff). The chutney looks wonderful and I LOVE the little mob caps too! See you there Kate and I DID get your DM's too....but now my twitter account is playing up! Grrrr....will write later!